Dezzal has the BEST pieces! I kid you not! They have everything from leather jackets, to velvet dresses, to the best bucket handbags and all at great prices! Their shipping also isn’t crazy long like most places you order from online. Typically you get your items within 2-3 weeks and my package was delivered in just about two weeks. 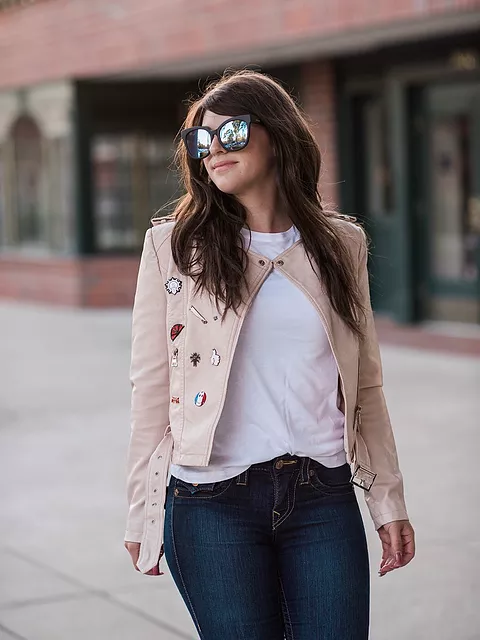 This blush moto jacket was only $66.99 and it fits perfectly. 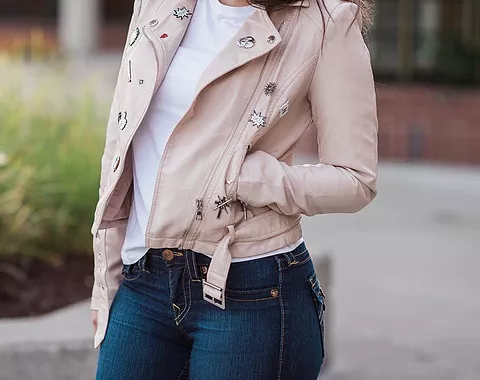 I am obsessed with this jacket and the chic pins that come on it. The zippers on the sides of the arms and the hanging belt add to the details as well. Not only that, the blush color adds a softer touch to the look and the quality is amazing. Overall, I am very impressed with Dezzal and their great customer service. Shop from links below. I paired it with a basic white tee from TOPSHOP because their basics are my favorite and I wanted the jacket to stand out alone. 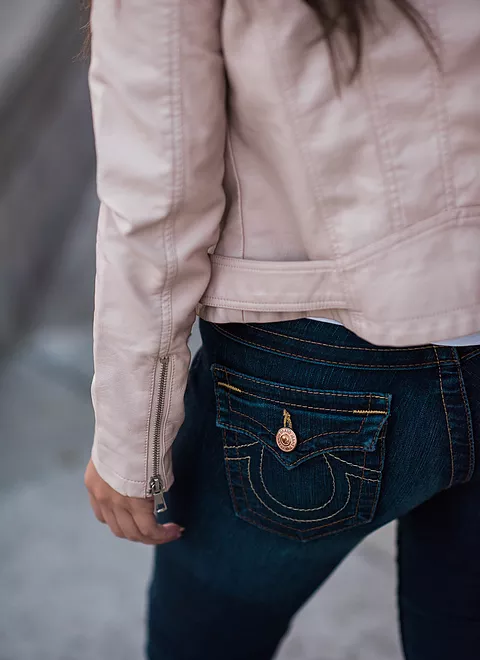 My jeans are more of jeggings from True Religion and are super stretchy and comfortable.